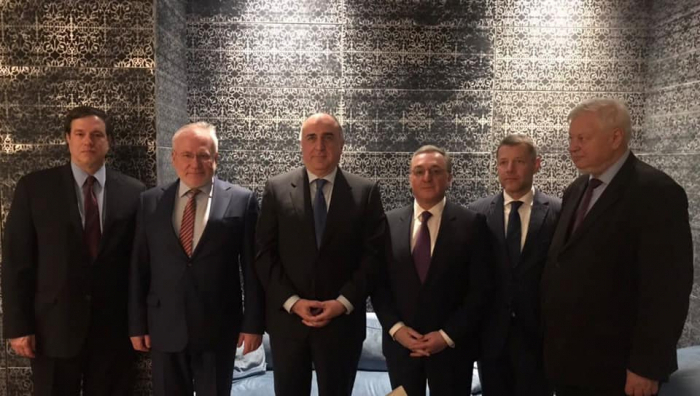 Azerbaijani Foreign Minister Elmar Mammadyarov will meet his Armenian counterpart Zohrab Mnatsakanyan in Moscow on April 15 in the sidelines of the negotiation process on the settlement of the Nagorno-Karabakh conflict, AzVision.az reports. "The both sides give information about the date and the venue of every meeting to be held in the framework of the settlement process of the Nagorno Karabakh conflict on a mutually agreed basis. The next meeting of the Azerbaijani and Armenian FMs will be held in Moscow on 15th of April. Russian FM Sergey Lavrov will also participate in the meeting as a foreign minister of the OSCE Minsk Group Co-Chair country", said Armenian Foreign Ministry spokeswoman Anna Naghdalyan.